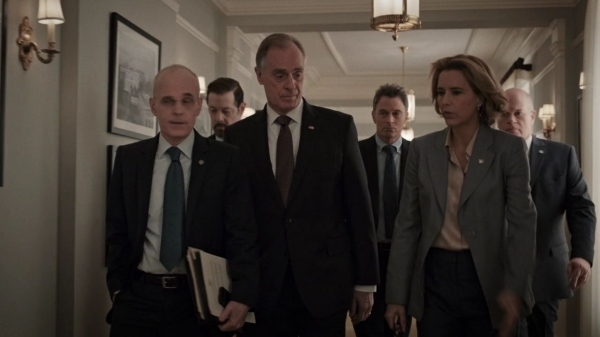 At the White House, Dalton has an issue with the F140 and calls Elizabeth (Tea Leoni) in to help. 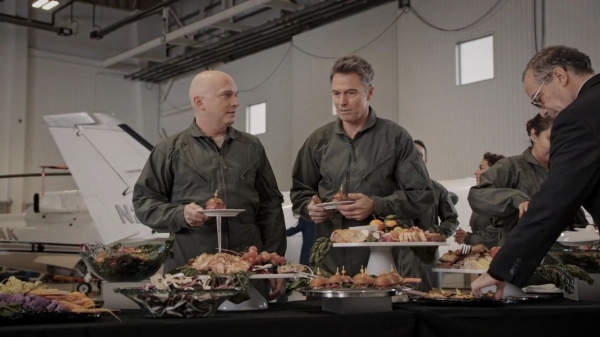 Gordon (Mike Pniewski) and Russell (Zeljko Ivanek) are both there too. Fossor has had a $3.6 billion overrun in costs and wants the government to buy an additional 20 planes. Trust me, contract law does not allow this to be legal, but Dalton feels that he has no choice but to let Fossor “shake them down.” He tells Elizabeth to convince Taiwan to buy the planes from them. Elizabeth points out that China won’t like it and will see it as provocation. She’s worried – and it turns out rightly so – that it will jeopardize the Fair Work and Play agreement that they are very close to signing. Elizabeth briefs her team on the sale to Taiwan. Gary Martin (David Wilson Barnes), their Taiwan liaison, tells them that the closest road to WWIII is through Taiwan. There’s a delicate balance that needs to be maintained. Taiwan will not want the jets – they need to maintain their strategic ambiguity – here’s the title of the episode! Taiwan doesn’t want to do anything that overtly tips the balance with China – they need to be just enough of a threat to keep China at bay, not enough to actively engage them. Elizabeth doesn’t disagree but points out that they serve at the pleasure of POTUS. They have orders and must carry them out. Chen (Francis Jue) calls Elizabeth as she’s getting ready for bed. He warns her that if she sells the fighters to Taiwan, the Fair Work deal is off and China will prepare for military action. She’s crossing a red line! Obviously, the sale information was leaked and Ephraim (Clifton Davis) has traced it to an internal memo. 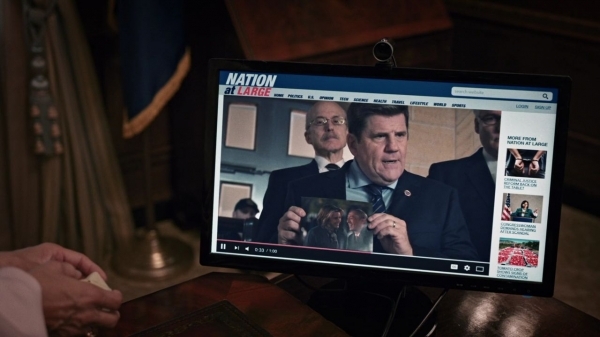 AG Nolan (John Bolton) already has a suspect. Dalton insists that they are going ahead with the sale, and Elizabeth warns that Chen is not posturing. 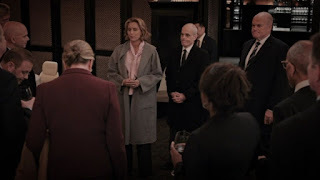 The FBI shows up and tell them they think the leak was Gary. They enlist Blake’s (Erich Bergen) help as he’s been working with Gary. Blake asks Gary out for a drink, which makes Gary immediately suspicious as he’s not well liked – no one ever asks him to grab a drink. 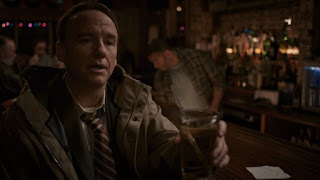 The two end up at a dive bar that Gary likes – even though he doesn’t drink. It’s not explicitly stated but it seems that Gary is likely a recovering alcoholic. Gary admits that he’s passionate about his job and the Nation’s security. Caring isn’t a crime, and he just sees things clearly. It turns out that Gary’s girlfriend is a spy for Fossor – and got the memo off his laptop. Fossor then leaked the information to China to force the sale to go ahead to Taiwan. Dalton insists that he’s going to have a chat with Fossor CEO Champlin (Casey Biggs). Russell advises against entering a fight, and Henry questions whether Fossor is so powerful that they are afraid to go after them. 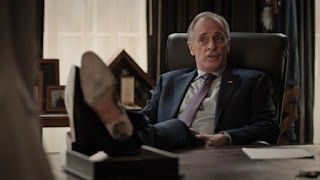 Dalton tells them that he’s tired of the tail wagging the dog – and they cancel the order! 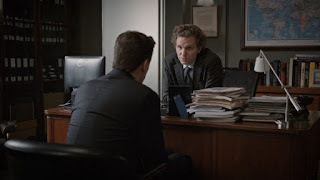 Blake goes to Jay (Sebastian Arcelus) about Gary. Gary is not going to lose his job, but his career is toast. Jay emphasizes that their jobs are life and death – you can’t take sensitive work home on your laptop. With the cancellation of the contract, the Fair Work and Play agreement is back on the table. Chen and Elizabeth meet in Canada. Once again, it’s clear to see that they have a friendly relationship. Someone takes their picture as they are laughing about the Canadian Ambassador’s accent. The picture then goes viral as the rumor spreads via Congressman Brandt (Rod McLachlan) that the President cancelled the F140 order to appease China. Congress is prepared to shut down the government (and that IS pulled from the headlines!) if Dalton doesn’t buy the planes. Elizabeth meets with a number of people from Congress in secret with Russell and Gordon. All of them have Fossor manufacturing ties in their districts. She tells them that Fossor engaged in espionage and leaked information to China. She also tells them that Brandt lied about Taiwan wanting the jets. 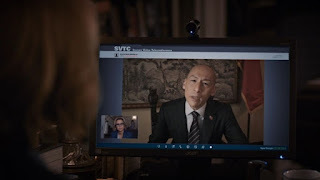 I loved the representative from Taiwan (Andrew Pang) chiming in with “We don’t want the jets. Seriously. We don’t. Please don’t send them!” Russell tells them that if they support Brandt’s rider, they’ll be shutting down the government. Henry is shocked when Pearson continues to support Brandt – but his district needs the jobs and the espionage isn’t proven. Russell tells Elizabeth that the rider to buy the planes has enough votes to pass. 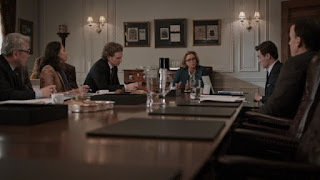 Elizabeth warns Dalton that if it does pass, China will react quickly. Dalton cites Eisenhower’s Military Industrial Complex speech. 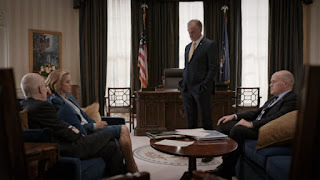 He tells Elizabeth that a truly excellent President can get 4 things through while in power. The good ones get 3. He doesn’t see a way to win this fight or change the system. But he does think that Elizabeth will be an excellent President. Nolan, however, comes through with a plan to go after Champlin for public corruption at Fossor. I loved the scene on the golf course when the FBI shows up to arrest him and we see the Jose (Carlo Alban), his caddy, smirking! 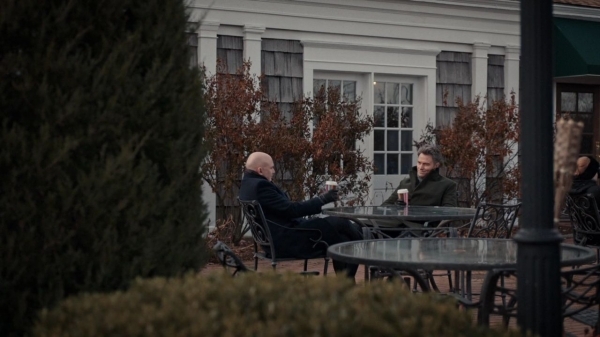 Brandt’s rider fails, and Henry has coffee with Pearson. Henry admits that he doesn’t understand all the pressures he’s under as a Congressman. Pearson, however, tells Henry that he had a clearer picture of what was happening at Fossor than he did. Pearson tells Henry that at the end of the day, he is still a marine – and he’s the one who tipped off Nolan about Champlin. 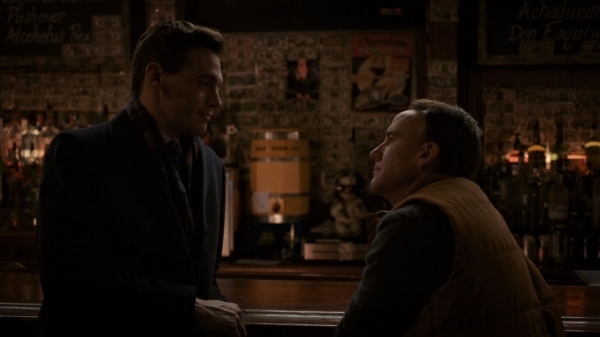 Blake visits Gary again in the dive bar. He’s worried that Gary is drinking – he isn’t. Gary admits that it was his own fault – and he’s accepted the punishment as just. However, he’s really hurt that they thought he could be the spy. Blake is there because he has reached out to his friends at Harvard and has arranged for Gary to be offered a senior fellowship to lecture there – something he’d be great at – and a new start. Gary is shocked and comments that Blake has a big heart – as we already know! He tells Blake that he’ll need a big heart because in this job, it will be chipped away at constantly…. Finally, there’s also a subplot about Waffles. Daisy (Patina Miller) is feeling overwhelmed, and it comes to a head when Waffles’ eye is hurt. 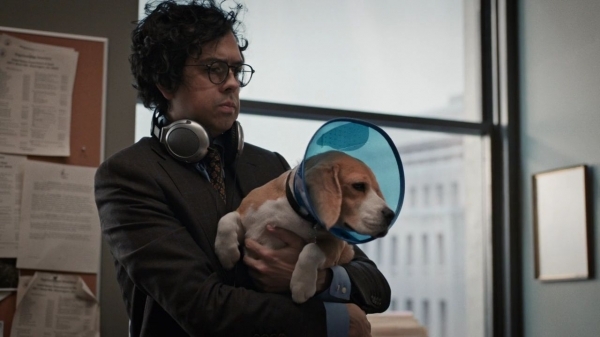 She brings him to Matt (Geoffrey Arend) to look after because he promised to help with the dog. I loved the joke about Waffles cone! In the end, the dog and the tension between Daisy and Matt becomes enough of an issue for Jay to pull them aside and suggest they share a calendar – like he did with his ex-wife over their daughter! 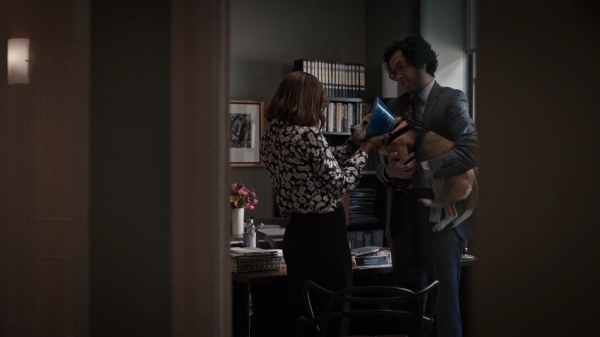 Matt realizes how desperate Daisy is when she suggest that Waffles will have to find a new home. Matt ends up going the extra distance and getting special permission from his apartment to have the dog three days a week – by claiming that Waffles is a “support” dog. It was a nice parallel on the importance of balance and negotiation. 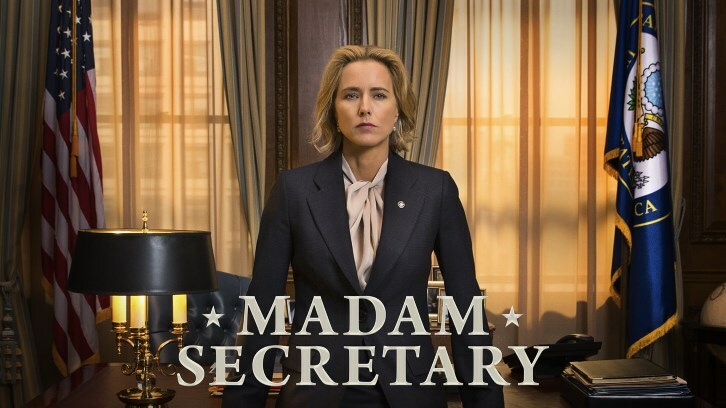 I enjoyed this episode for its in-depth perspective on the checks and balances of governing. 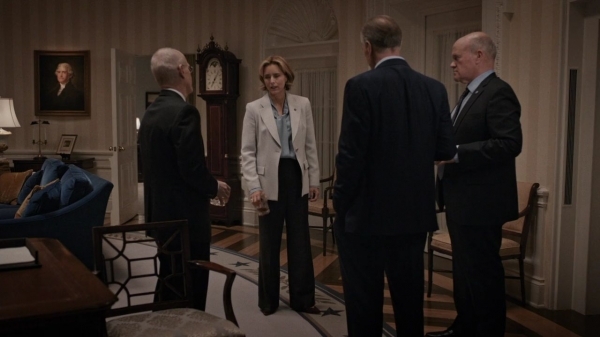 I loved the various layers of influence and consequence that rippled throughout the episode. What did you think of the episode? Let me know your thoughts in the comments below!